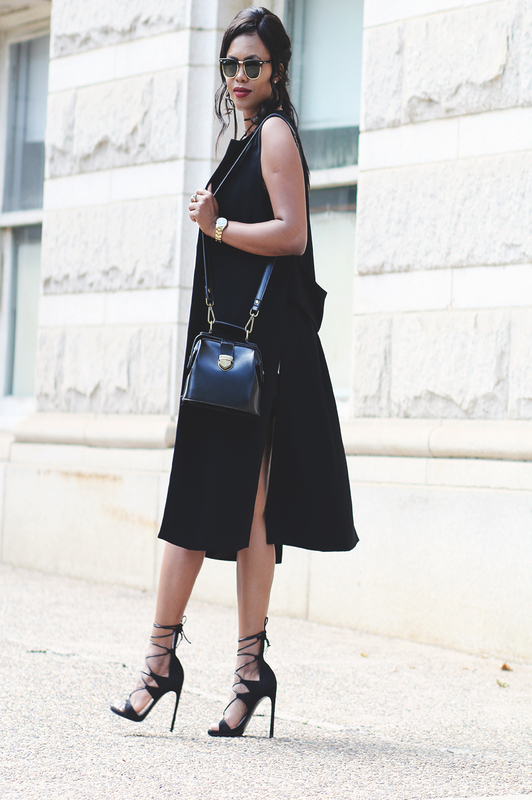 I think a black sleeveless blazer is a summer staple. If you are a little conservative like myself and love to cover up over shorts shorts & strapless tops/dresses, then you certainly need a sleeveless vest/blazer. It's the perfect piece to throw over spaghetti straps/shorts shorts and make you look so chic. I still wear black during summer, as a matter of fact I wear black all year long. These laces shorts are my favorite and I mean it. I've had them for over 3 years now and wear them all & every summer, and even all winter with knee high boots.